This week we’re in love with Jennifer Lovdahl..No seriously she our SHEro! Jennifer is a chiropractor from Alaska who posted two pictures on her Facebook page. One picture (on the left) showed her McDonald’s Happy Meal with a receipt and states she purchased six years ago. 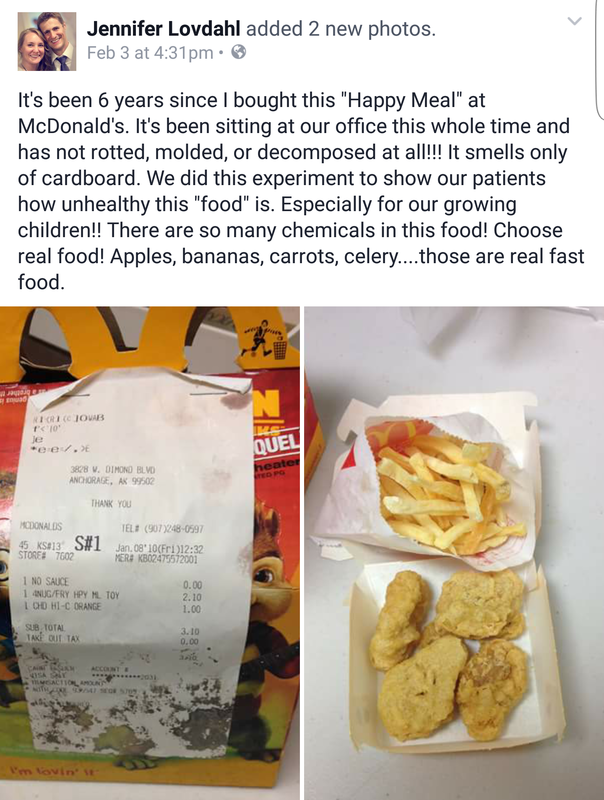 The second picture (on the right) shows the contents from the six year old meal which includes four chicken nuggets and fries and as you can see there’s no mold anywhere on the food. The meal literally looks like someone just ordered it from the drive-thru. Honestly as gross as it may seem the food in this picture almost looks edible. It’s been 6 years since I bought this “Happy Meal” at McDonald’s. It’s been sitting at our office this whole time.has not rotted, moulded, or decomposed at all!!! It smells only of cardboard. We did this experiment to show our patients how unhealthy this “food” is. Especially for our growing children There are so many chemicals in this food! Choose real food! Apples, bananas, carrots, celery….those are real fast food. This may be a question for Dr. Oz but we have to ask. If food can last for six years or longer without spoiling how long would it last in our digestive system? Or how long would it take to digest? When we first saw the Happy Meal pictures we couldn’t even imagine someone holding on to their food for six years which made us do a little research. For those of you that felt like us and found this post hard to believe please continue reading. In the picture at the top to the left if you’ll look closer you can see the picture of Alvin and the Chipmunks on the Happy Meal box. Even though the receipt covers it up you can see the the character. 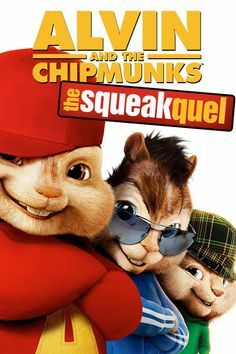 According to IMDb, Alvin and the Chipmunks: The Squeakquel is dated to 2009 which may bring some accuracy to the pictures posted by Jennifer on social media lately. Regardless of how hard it is to face the fact that we’ve been killing our kids softly by shoving a McDonald’s Happy Meal down their throat. Today we’re so grateful that Jennifer’s experiment will save someone’s life!